At long last, warmer weather and longer evenings are finally here. It’s party time! 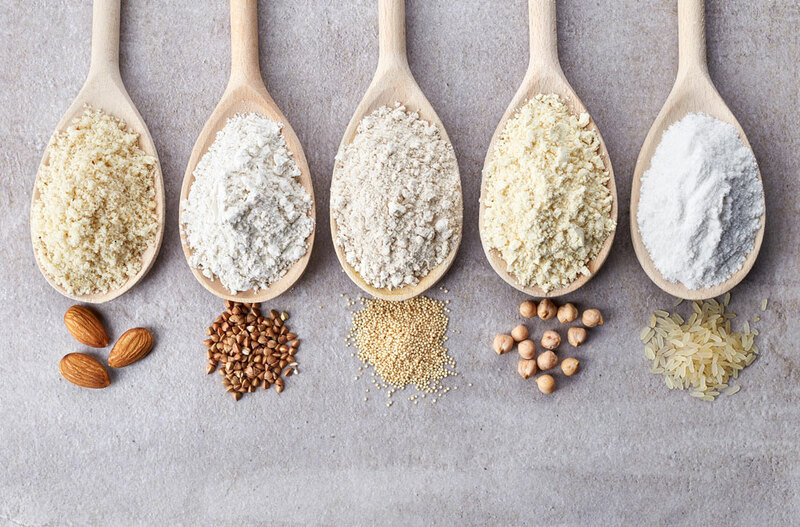 Whether an intimate spur of the moment gathering for six, or a full-fledged throw down for thirty, getting together with friends and neighbors is a key ingredient for happy, fun summers. Don’t have much time to prepare? Don’t worry, we’ve got you covered. Even if you aren’t a born hostess, we have some killer tips to help you fake it! 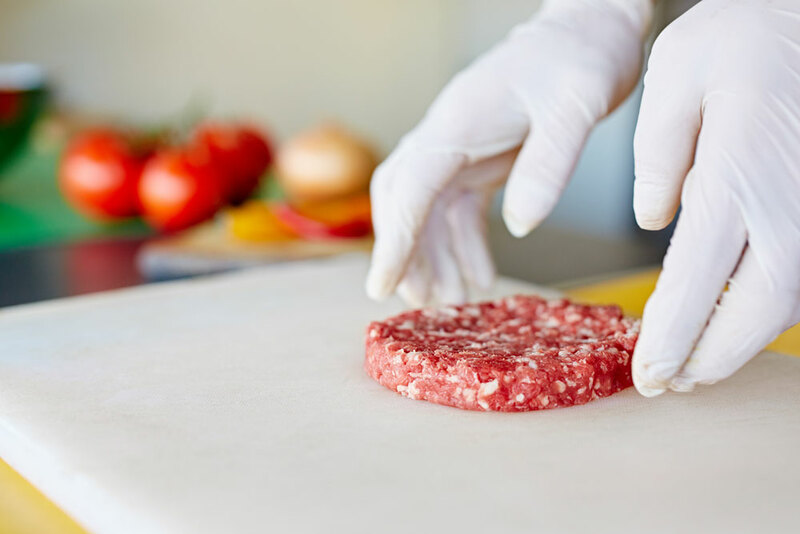 First, keep a few essentials available in your fridge or freezer. Whip these out on a moment’s notice for those “we are on our way over” texts or phone calls. Gourmet salsa. Mix it with cheese for a dip, or use it as a topping for other appetizers. Frozen shrimp.Thaw them out by soaking the bag in cold water, and arrange them artfully on a plate. Pro tip: Impress your guests with a quick and tasty Remoulade dipping sauce. Cheese. Blocks of cheese keep for several weeks in the fridge, making them a sure bet for those last minute festivities. Chop them into chunks, and serve on a tray with crackers, or with an olive on a toothpick. Nuts. Fancy almonds, cashews or roasted peanuts add a crunchy, salty touch to your table. Plus, they are healthy and filling. Crackers. Have a few different types on hand to accompany dip and cheese. Fresh herbs. Keep basil, cilantro, garlic, and mint in tightly sealed bags in your fridge to add to appetizers – and cocktails – to make them pop. 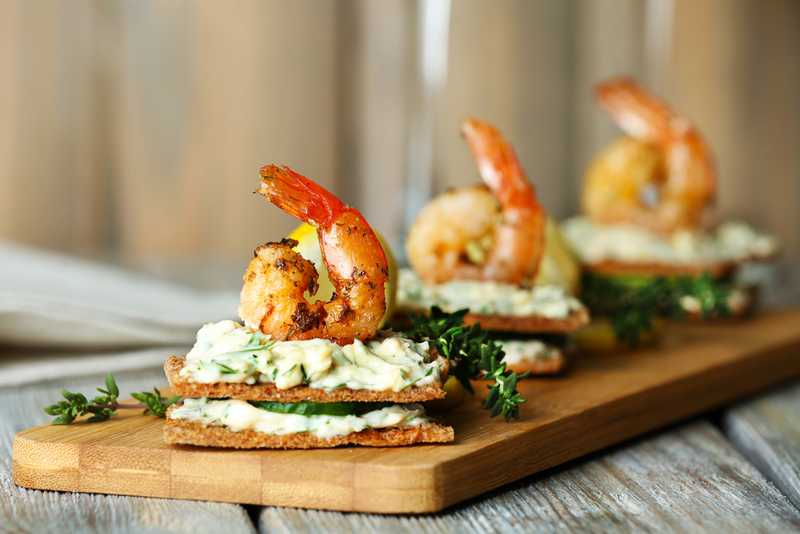 For a truly stress-free party, serve your guests a mix of the “staple” appetizers mentioned above, and a few of the more elegant, homemade appetizers listed below. 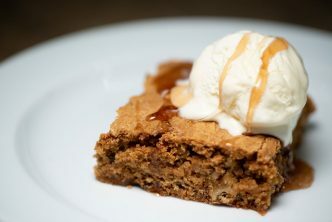 Your guests will think you’ve spent all day in the kitchen when really each recipe took you 20 minutes or less to make! Bring the light, casual taste of the sea to your table with our Scallop Crudo recipe. 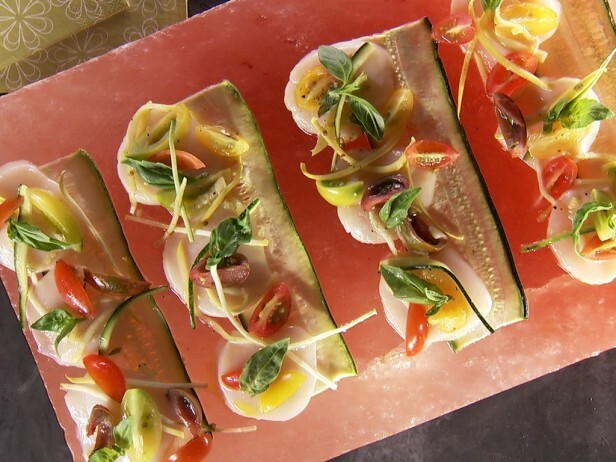 It’s served on a Himalayan salt block for a burst of flavor and beautiful presentation that’s sure to wow your guests. Take full zucchini remove the ends and cut lengthwise into four 1/8- to 1/4-inch planks. Add squash, zucchini and tomatoes together. Splash with some olive oil and vinegar, and season with salt. Let sit for about 5 minutes. With your sharpest knife, slice the scallops into 1/4-inch, or thinner, rounds. Prep your salt block by coating it with a little olive oil. Lay the planks of zucchini across the block. Arrange the scallop slices, slightly overlapping each other, in four rows, with half of each round sitting on top of the zucchini and the other half directly on the salt block. Squeeze lemon juice and drizzle a few drops of olive oil on each row of scallops. Top the scallops with some of the vegetable salad and a sprinkle of the basil leaves. Serve. Since the weather is warming up, it’s the perfect time to pull out the grill! 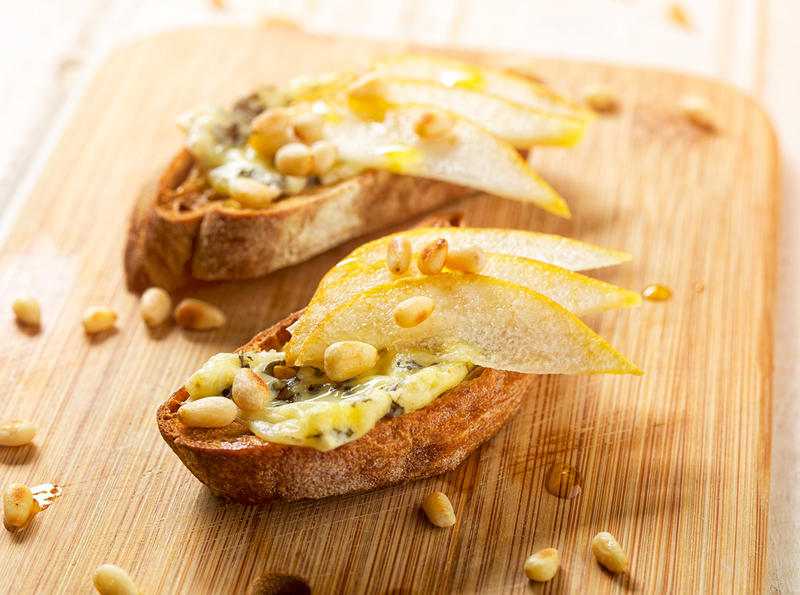 Delight your guests with this flavorful and gorgeous gorgonzola grilled pear crostini. Place pear wedges on grill and cover with lid. Grill for 1 to 2 minutes on each side, or until golden. Stir together cream cheese, gorgonzola cheese, butter and dry sherry. Spread about 1/2 tablespoon on each baguette slice. Top with grilled pears; sprinkle with pecans and rosemary, and drizzle with honey. Enjoy! 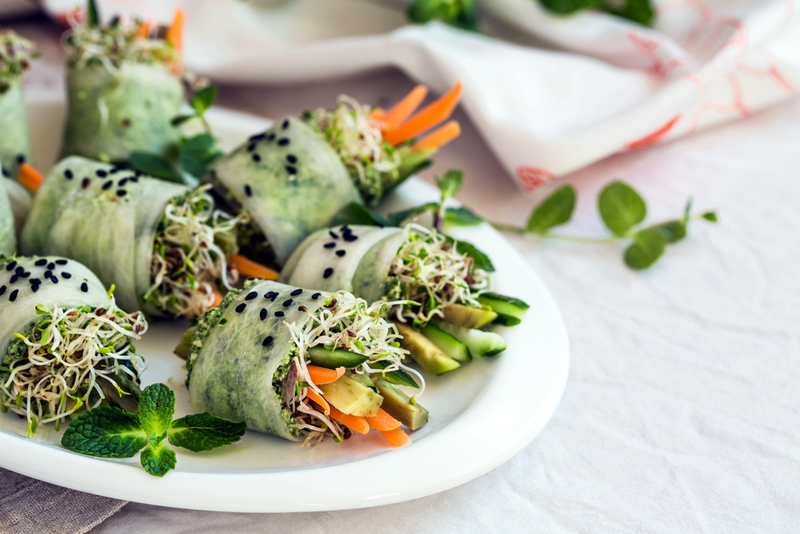 Watch your guests, especially the vegetarians, attack and devour these delectable raw zucchini "sushi" rolls. Process, scraping sides with spatula if necessary, until cashews are a soft paste but still have some texture. Add a tablespoon of water at a time to get the paste-like consistency. Chop the ends off of the zucchini and use a vegetable peeler to peel zucchini into long, thin strips. This Spinach-feta cheese stuffed mushrooms recipe is a must for every hostess. Each bite-sized piece is visually appealing, healthy, and easy to put together. In a small bowl, mix cream cheese, mozzarella cheese, spinach, artichoke hearts, garlic, salt and pepper. Remove caps from mushrooms. 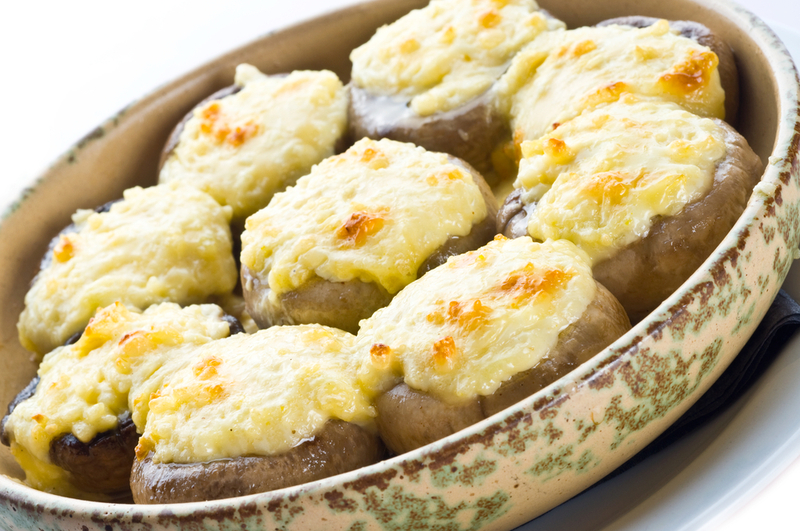 Add 1 tablespoon of the cream cheese mixture to each mushroom. Top with a dash of paprika. Bake for 15 minutes, or until the tops are golden. Serve warm. 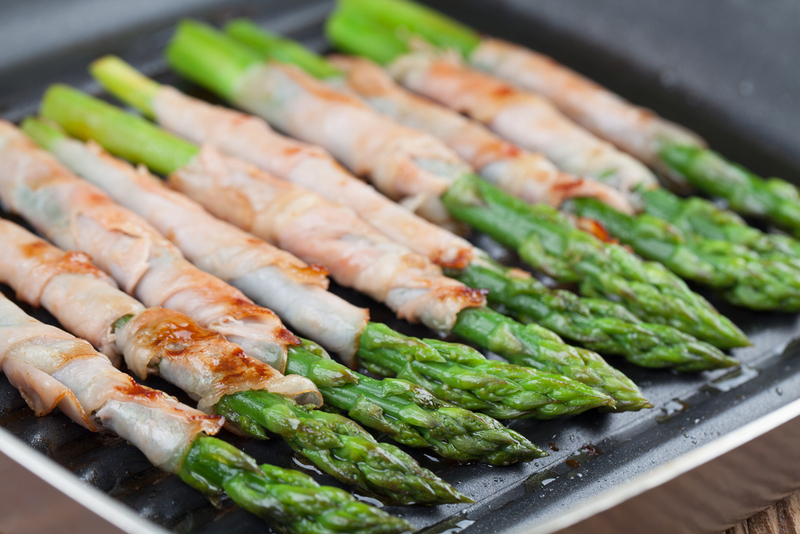 Clever and elegant, prosciutto-wrapped asparagus tempts the taste buds and pleases the palette. The best part? This recipe requires only two ingredients. Bring 2 gallons of salted water to a boil in a large stock pot. Add the asparagus and cook until tender, approximately 3 minutes. Remove asparagus from water and place in ice water for 5 minutes to stop cooking, then drain and dry. Cut sliced prosciutto in half. Wrap each stalk with one slice prosciutto and transfer to a serving platter. Enjoy! Light and delectable flavors join forces to make artichoke chicken bites a smart addition to your appetizer menu. This recipe yields 45 servings, but can be halved for smaller parties. In a bowl, thoroughly mix shredded chicken and cream cheese. Add all remaining ingredients and mix. 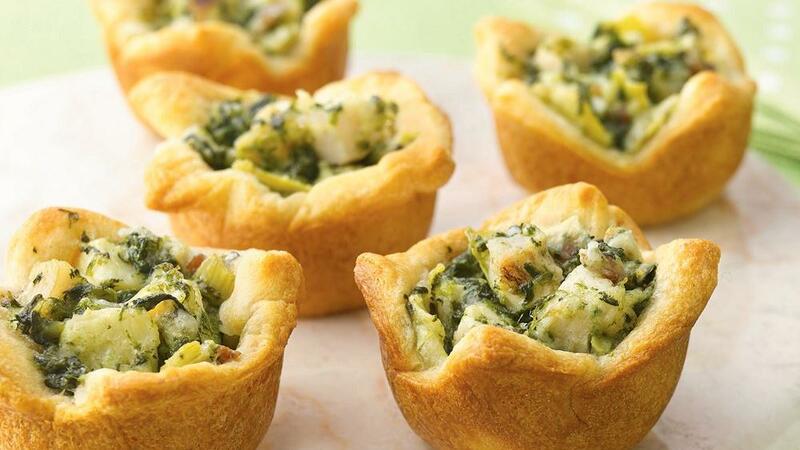 Fill each phyllo cup with 2 teaspoons of the chicken mixture. Bake for 5-8 minutes. Serve warm. 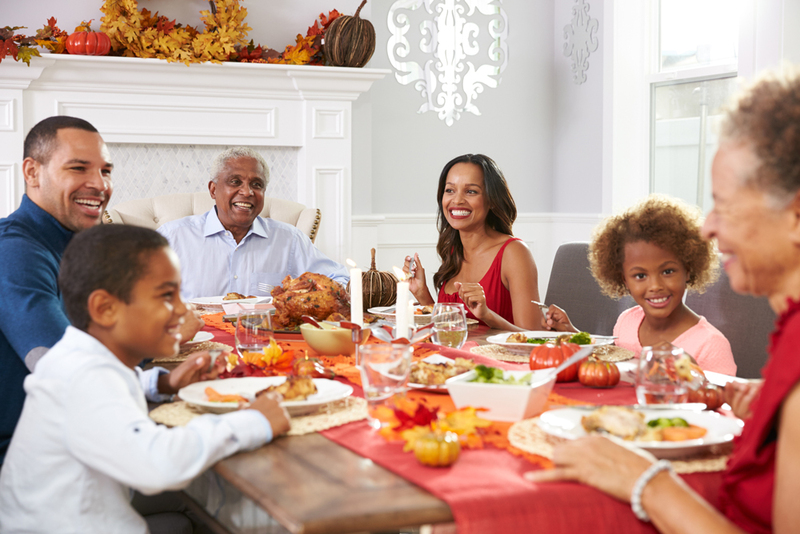 Get Creative with Your Thanksgiving Leftovers!